The skid steer attachment carrier is installed in place of the standard John Deere attachment carrier and allows for the use of skid steer attachments on the H180, H160, and H165 Loaders. Skid steer attachments are available through Worksite Pro Attachments. To view a video of how the Quik-Park™ system works click here. 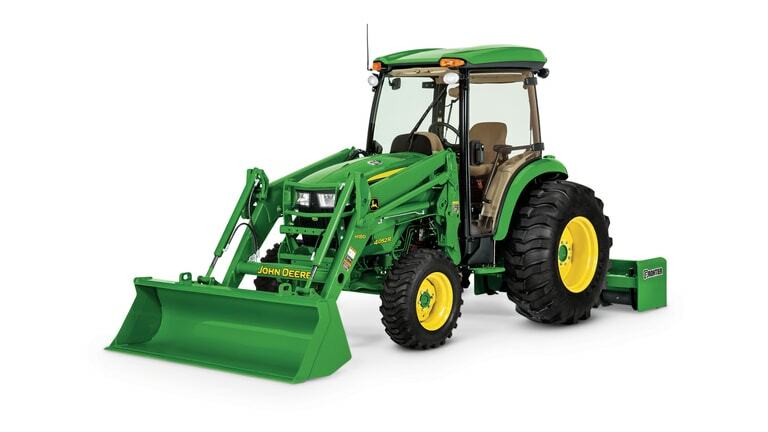 The H180 Loader is designed for easy removal and mounting to and from the tractor without tools. The parking stand lowers into position by moving the joystick to the raised position once the latches are opened. This allows the loader to move to the park position. Allows fast, easy removal and mounting of attachments without tools. Bucket used Materials - 73 in.